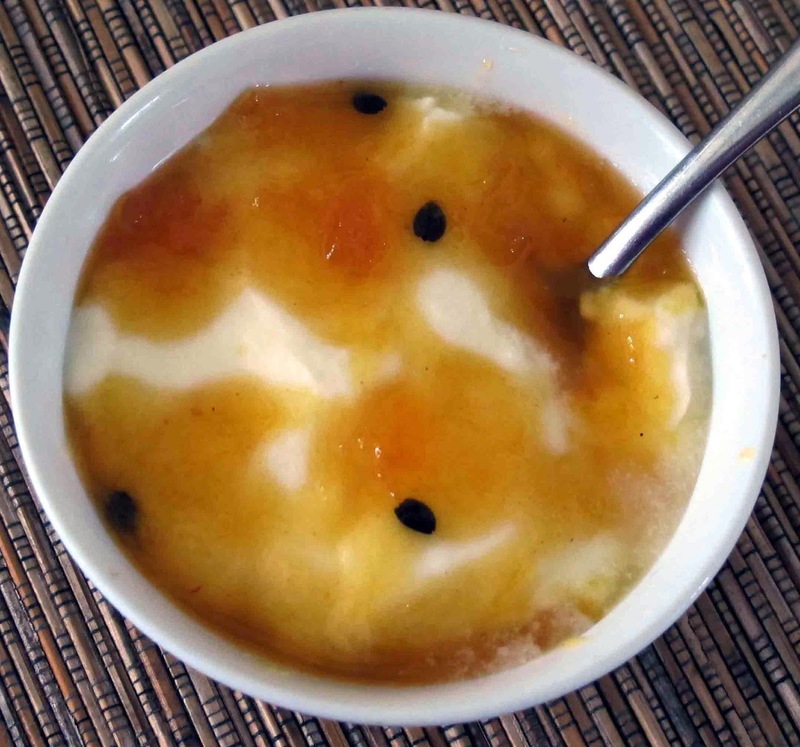 This morning I tarted up our breakfast yoghurt with a delicious fruity topping made by combining freshly squeezed lemon juice and Anathoth Farm tropical jam. I like using Anathoth Farm jams because as well as their pure fruit flavour they contain no artificial colours or preservatives. This one has 50 percent fruit: mangoes, pineapples, guavas, passionfruit apples and lemons as well as sugar. The recipe is so simple: mix equal quantities of lemon juice and Anathoth Farm tropical jam to make a runny topping. Drizzle it over another South Island favourite of mine, Clearwater's cream top natural yoghurt. Stir some desiccated coconut into the yoghurt and leave to stand for at least an hour (or overnight) before adding the topping. This topping could also go well on a cheesecake, especially my lemon or pineapple one which are set with gelatin so unbaked. For a cheesecake, if you wish, you could thicken the topping and make it more syrupy by heating it briefly.